It’s officially tax season as the IRS began accepting returns on January 28th. In this post we’re going to be talking about all of the important documents that you need to file your taxes. This depends on a number of factors like whether you’re carrying dependents, if you’re self-employed, or if you’ve been in school at all this past year. So read on below to see just what you might need. 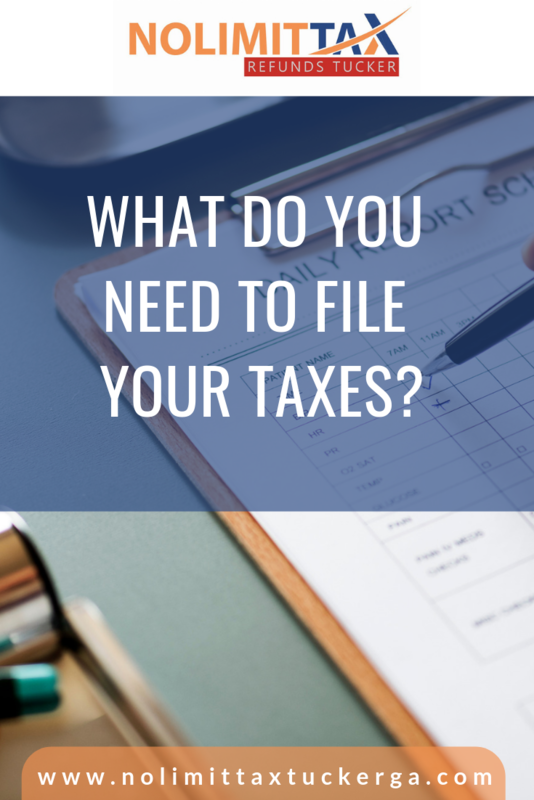 So What Documents are Necessary When Filing Your Taxes? The most basic documents you will need to file taxes will most certainly be identification. This can be in the form of a driver’s license or official state-issued identification, as well as social security cards for yourself and any dependents you wish to claim. If you worked as an employee on a job for a company where you received a steady wage, either clocking in and out everyday, or just on salary, chances are you will be receiving a W-2. W-2’s are crucial as they will list any taxes you have paid, federal, and state, as well as an accurate accounting of your full wages for the year. This is important as often final paystubs don’t have an accurate reflection of these numbers. If you worked as an independent contractor, you may be expecting a 1099 form instead of a W-2. This form shows the amount of income paid to you by the employer so it is necessary in order to get a picture of how much money you made. The major difference between this form and a W-2 is that no taxes are deducted when you work as an independent contractor so there will be no amount of money shown as being taken out. In addition to the 1099 form, you will need to attach a Schedule-C form. Don’t worry- as your tax preparers this is where we come in! The Schedule-C will include a list of expenditures you incurred while working which means you will owe less money back when it is time to file. If you were with the healthcare marketplace, this form applies to you. This is given to you if you are utilizing Obamacare/Healthcare Marketplace. It is important that you include this form as a failure to do so can result in a delay in receiving your tax return. If you own a property or pay a mortgage, you will more than likely a 1098 mortgage interest statement to write off any interest or property tax information. Be sure you have this if you are planning on itemizing and you have a property. This list isn’t totally inclusive but it is a general idea of the most common forms you can expect to need when filing your tax return. Hopefully this post has been helpful and you can prepare all of the documents you need before going to file your tax return.